The proportion of power generation represented by renewable energies is constantly increasing. According to REN21 Renewables 2018 Global Status Report renewable energies covered nearly 20 percent of global final energy consumption in 2016. And according to data of the Fraunhofer Institute for Solar Energy Systems, as much as 41% of net electricity production (i.e., the electricity that comes from the socket and is consumed in the home or business) in Germany was renewable in the first half of 2018. Power from wind and PV systems therefore contribute significantly to worldwide energy supply. The only drawback is that solar and wind are volatile, since they generate fluctuating amounts of energy. In the future, too much sun or wind could lead to peaks in production that exceed demand. Renewable power plants then must be limited and valuable electricity is lost. This is precisely where integrated energy comes into play. It allows the available energy to be moved into other sectors. After all, energy is far more than just electricity. In the areas of heat and transport, the energy required is still primarily acquired by burning fossil fuels. In the heat sector, the proportion accounted for by renewables is 10 percent, according to the REN21 Renewables 2018 Global Status Report, while it is a mere three percent in the transport sector. There is a lot of catching up to do—and this is all the more serious because these two sectors combined make up around 80 percent (48 percent heating and cooling, 32 percent transport) of total energy demand. Consequently, they are also responsible for a large proportion of energy-related CO2 emissions. Integrated energy connects the energy-related sectors of electricity, heat, cooling and transport so that as large a proportion as possible of renewable energy from solar, wind or biomass can be utilized. In transport, extensive use of electric or natural gas vehicles that are then refueled with natural resources is of obvious benefit. In the area of heat, for example, great importance is being attached to heat pumps and heating elements. They produce heat for household use by means of renewable electricity. Thanks to synergy effects between the electricity and heat sectors, energy can be put to good use precisely where it is needed. Power-to-X technologies and battery storage systems convert surplus renewable electricity flexibly into a different form of energy and thus increase the proportion of renewables in the heat and transport sectors. Here, the “X” stands for the possible energy carriers. Gas, heat and battery storage systems are the most common representatives of these technologies to date. The existing gas network infrastructures already enable the transportation and storage of large quantities of energy. With power-to-gas technology, this storage can also be exploited for renewable energies. For example, this allows the CO2 arising from the production of biogas to be used for the production of methane, which is then available in the natural gas grid as a raw material for the chemical industry, as propulsion energy for vehicles and aircraft, or for reconversion at gas-fired power plants. Integrated energy for the home: Combining solar system, heat pump, battery storage and consumers via intelligent energy management, ensures a sustainable and efficient energy supply of the household. Surplus electricity from renewable energies can also be used to supply heat. This is then available as heating energy or for preparing hot water. In contrast to P2G technologies, the efficiency of converting electricity to heat is almost 100 percent. As a result, fossil fuels can be replaced at a 1:1 ratio. Power-to-heat devices are hybrid systems that always have a heat generator operated by a conventional fuel such as wood or natural gas. In the event of surplus electricity, heat is obtained from electrical energy; otherwise, the conventional heating system is used. The heat can be fed into the local or district heating grid or used locally to supply heat to individual buildings or industrial companies. The heat can also be stored temporarily using an additional buffer tank and retrieved as required to provide negative balancing energy, for example (see point 4). Battery storage systems are also reliable local stores for surplus renewable energies. Here, rechargeable chemical cells (battery accumulators) absorb energy and release it once more on demand. 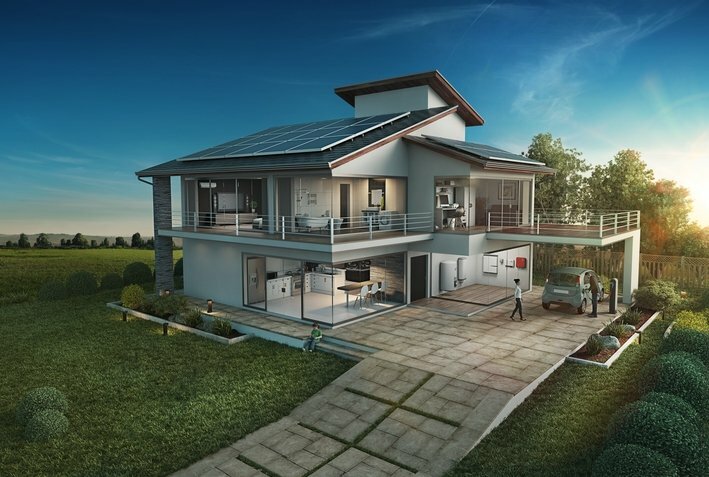 In the area of home storage, battery storage systems combined with a PV system ensure greater energy efficiency and secure the electricity supply in the event of grid failures. In large storage power plants up to the MW range, the batteries provide an operating reserve. In addition, battery inverters currently contribute to fast frequency stabilization and instantaneous reserve (coverage of fluctuations due to inertia). This is important when additional power is needed at short notice, because there is always a big load somewhere requiring a lot of power in the short term. If, for example, the floodlight system of a soccer stadium switches on, the momentum of the generator rotors delivers stored energy and thus stabilizes the electricity grid at short notice. If battery inverters replace the rotating masses of power plants, this offers another significant advantage. A conventional power plant can only ever provide a fraction of its power as an operating reserve, a battery storage system can provide its full nominal power, though. For example, a battery storage system of 30 megawatts can replace the operating reserve capacity of 1,000 megawatts (1 gigawatt) of power plant output. Even in the event of extensive grid failures, battery inverters can now ensure that the grid is soon available again. They are capable of black starts, which means that they can start up independently of the electricity grid and thus secure the electricity supply. 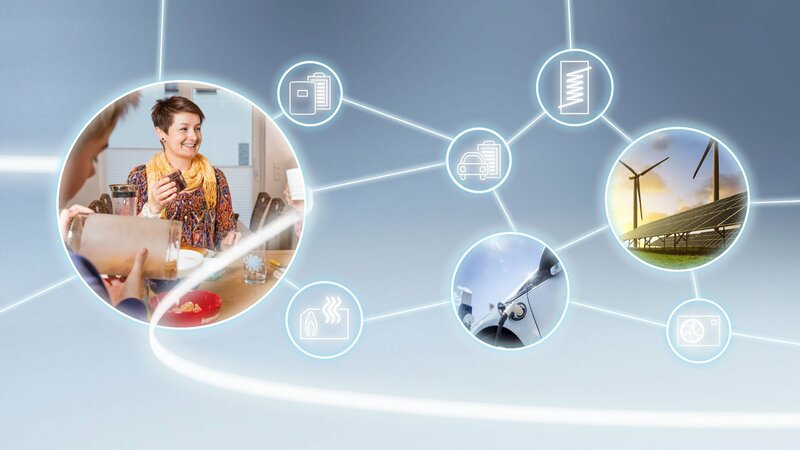 New possibilities: Integrated energy makes passive consumers of electricity prosumers, who can actively participate in the energy supply system. For the individual consumer, integrated energy holds the opportunity to actively help shape the energy transition and not just be a passive spectator. Countless solar and smaller wind turbine systems with private operators or in public parks show that awareness of a sustainable energy supply is rising. And it is not only financial incentives that make renewable energies so attractive— there is also increased interest in innovative technologies that enable individual households and enterprises to become independent of power supply companies and fossil fuels. Through intelligent energy management, PV system operators can coordinate consumption and generation so that they always use the largest possible proportion of their self-generated renewable electricity. 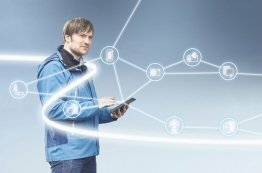 At the same time, decentralized power generation plants and the digitalization of the energy transition are turning PV system operators into “prosumers” that can participate in the energy supply system by means of direct marketing. 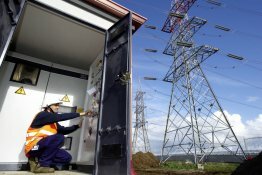 Until recently, that was the preserve of large power supply companies and public utilities. Thanks to digitalization, any operator can now also sell self-generated renewable electricity to neighbors currently in need of electricity. The possibilities range from today’s direct marketing to future participation in peer-to-peer markets or flexibility markets (see point 4). In terms of technology, renewable generation systems have even made it possible for private households, commercial enterprises or industrial plants to set up their own electricity supply completely independent of the electricity grid. Reliable supply at all times: Renewable power plants are used to provide standby power and thus ensure grid stability. Of course, just as renewable energy generation fluctuates, energy demand is also not always the same. That is why the energy balancing market compensates for fluctuations between generation and consumption in the utility grid. To ensure grid quality is maintained at all times, power plants must make balancing energy available where needed within seconds. If demand exceeds power generation capacity, electricity must be quickly fed into the grid (positive balancing energy). If, however, the supply of electricity is greater than demand, electricity must be taken out of the grid (negative balancing energy). Power plant operators that take part in the balancing energy market receive a feed-in tariff for the balancing energy provided. Large battery storage systems or power-to-heat systems offer an interesting option. Both technologies can make capacity available extremely quickly or store surplus energy— far more quickly than fossil fuel power plants can, for example. Battery storage systems on the grid then have an energy reserve available that they can supply as required. Alternatively, biogas plants do not feed the electricity in immediately, but instead temporarily store it in the thermal energy storage system that is used jointly with the P2H system. They supply energy when the sun is not shining or the wind is not blowing and thereby also replace the demand for fossil fuel must-run capacities and thus CO2 emissions. The overarching goal in integrating the individual energy and consumption sectors is to comprehensively decarbonize the global economy. In the Paris climate protection agreement (COP 21) in December 2015, the international community resolved to limit the increase in the global mean temperature to a maximum of two degrees Celsius compared with pre-industrial levels. The agreement ratified in November 2016 is binding under international law. Still. Even if the U.S. withdrew from the agreement—at least temporarily, as President Trump put it—in the summer of 2017, at least a majority of the world remains committed to the initiative to save itself. And that is a good thing, because at least those who realize climate change is reality and not fake news are now aware that we can maintain the climate of our planet long term only if we now change energy generation over to renewables. And the sooner, the better. Even so, the theory on paper now urgently needs to be followed by practical action. Although many renewable energies have emerged around the world, to date we have shut down hardly any fossil fuel power plants. So what use is green electricity to us if fossil fuel and nuclear power plants continue to emit harmful gases or produce radioactive waste, thereby risking the health of humans and nature? Integrated energy proves that fossil fuel power plants no longer need to be operated at base load to provide balancing energy in case of need. With flexible interconnection of the individual energy sectors, this is possible in a way that is much quicker, more cost-effective and more climate-friendly. Integrated energy is the only way we can prevent CO2 emissions and thereby save our climate. The energy transition can succeed only in a holistic, renewable energy system. Flexible systems, the development of promising decentralized generation technologies and digitalization offer encouraging opportunities that we must now exploit. Integrated energy is a clear win-win situation, for both a reliable energy supply and a more salubrious climate. The ever standing question is what is the most economical energy mix at any time. Managed integration is the answer. Observation of environment and consumption that leads to on or of commands to supply and consumption is good management tools. Some common equipment needs development and integration. The circuit breaker could easily have a coil that measures current consumed in that line. This information can be used as indicator of consumption, accumulated consumption and then result in a cut off at a certain pre-set level by a contactor. I dont see any such integrated circuit breaker on the market! Currently we are installing SMA Island 5048 and Sunny Boy 3000 in remote rural villages in Angola. These small autonomous systems needs consumption management. The Health Post must be prioritized over the school and the market place. Energy can not only be stored in the batteries but also as cooling inside the refrigerator that is cooling during sunny hours and release the cold during night.